At Derby High we have a busy drama department. 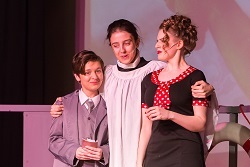 Each year we stage two major productions; one in the Autumn Term and one in the Spring Term. We also hold an annual House Drama Competition. 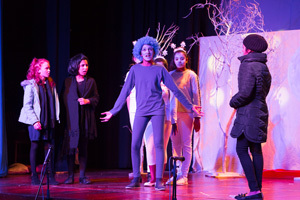 Many of our students are involved in our drama productions, not just on stage but in the many other support roles such as lighting, sound, costumes or backstage. 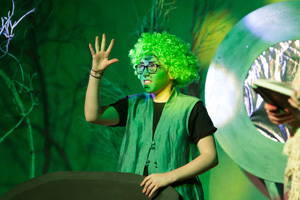 We have invested significantly in our stage lighting and sound facilities enabling our pupils to work with up to date, professional equipment. Drama at Derby High is for everyone. 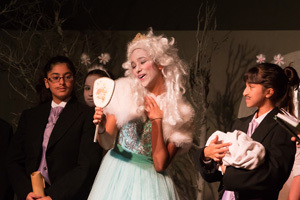 Some of our youngest pupils take on leading roles in our major productions promoting confidence at a relatively early age. 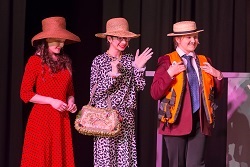 Well done to the cast and crew of Goodnight Mr Tom, performed at Derby High in March 2018. 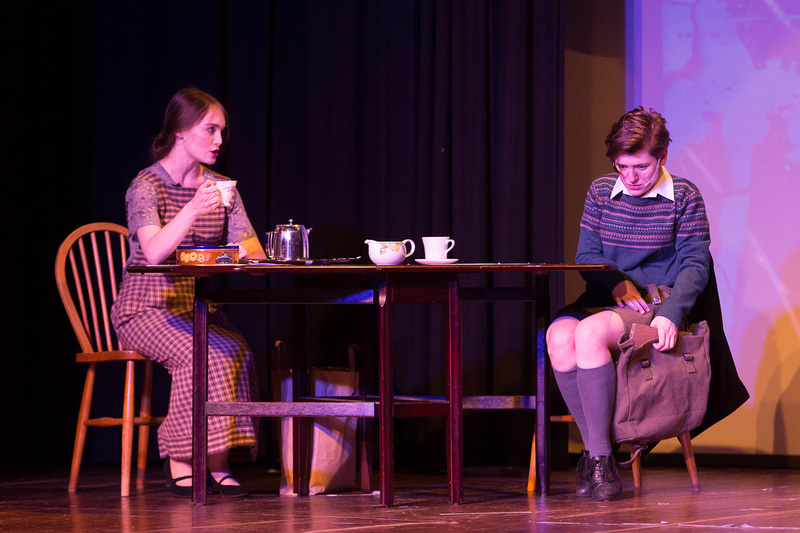 The production was an extremely moving portrayal of the World War 2 story, brought to life by a cast led by L6 student Catriona Judd. 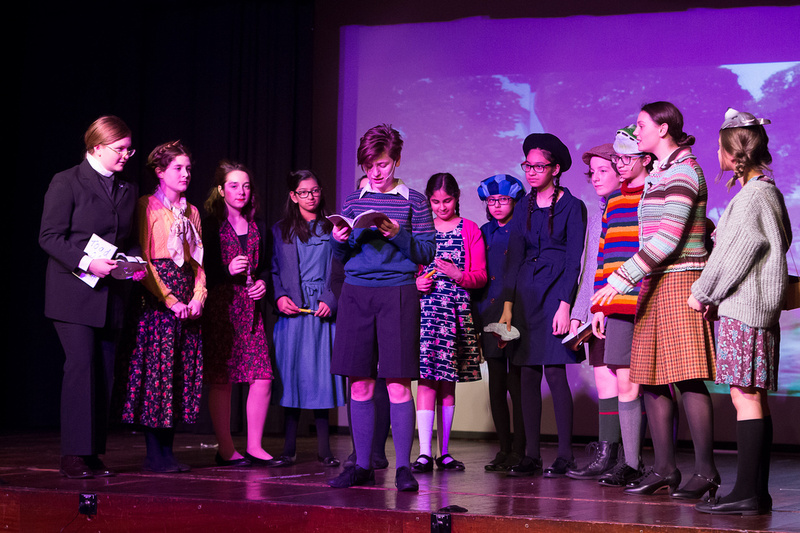 Students from all year groups in the Senior School were represented on stage and behind the scenes from Upper 3 (Year 7) right through to members of the Upper 6th. 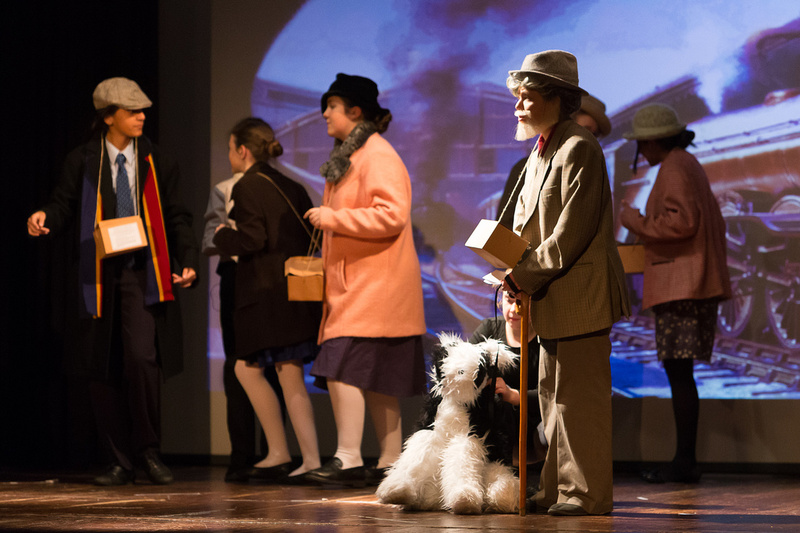 Excellent singing and acting combined with ambient lighting and staging to transport the audience back in time to the 1940s, following the story of one young evacuee and the community into which he was placed during WW2. Few were left with dry eyes at the end of this performance. Well done to all involved. 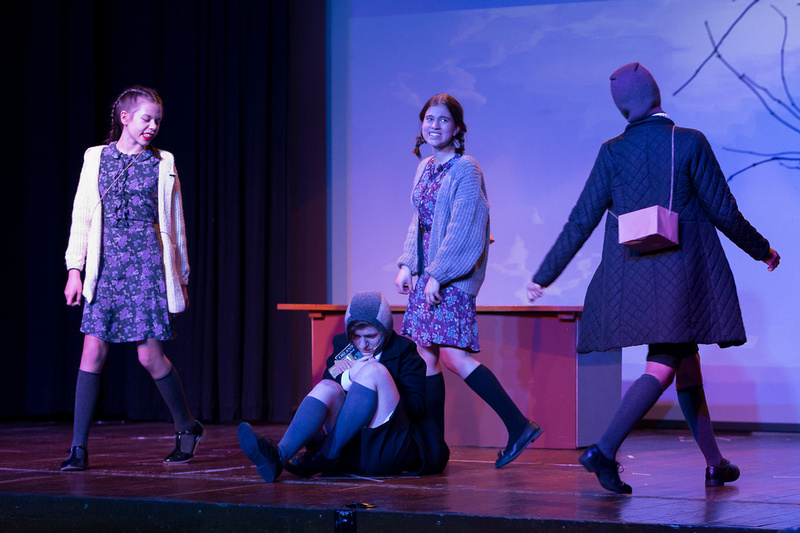 Each of the four Senior Houses laid on a fantastic evening of comedy and laughter as they battled it out for the coveted House Drama trophies in November 2017. Our adjudicator for the evening, DHS Alumni member Manjeevan Grewal, had an extremely difficult task in judging which House put on the best performance and which student was to win the award for Best Actress. The audience also had the opportunity to cast their vote in the People's Choice award. 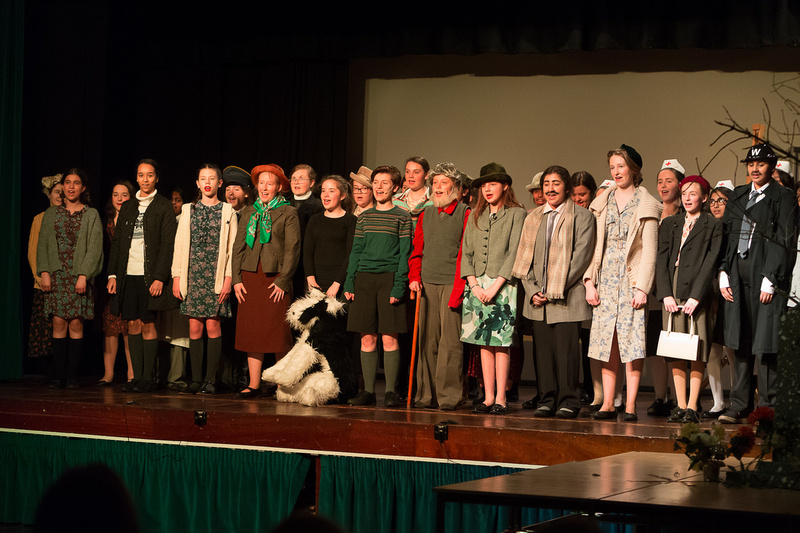 From old folk in a retirement home (St Andrew), warring families in a wedding dress shop (St Patrick), women waiting at a bus stop (St David) to survivors on a desert island (St George) each of the four short plays gave students the chance to put their talents for comic timing and acting on display. Congratulations to all who took part for putting on such a brilliant evening (including Mrs Smith for supervising the competition and rehearsals)! 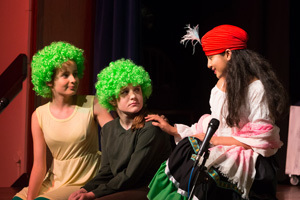 Well done to the winners: Jessica Holgate (Best Actress), St Andrew (Best House) and St George (People's Choice). This year, we had the exciting (yet daunting!) 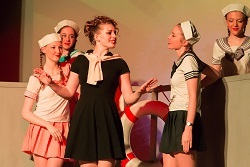 task of directing the lower school production. 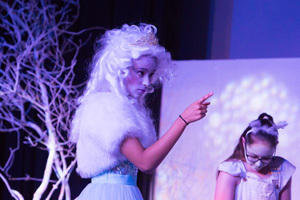 After weeks of searching for plays that hadn’t been done before, we finally settled on ‘The Snow Queen’. Our hopes high, we began auditioning the girls – and we weren’t disappointed by the amount of talent they had to offer! After careful consideration, we came up with the final cast list. Though the realisation that the entire production was down to only the two of us was intimidating, we were eager to face the challenge and begin rehearsals. We came back to school after summer raring to go; everyone was super energetic at the first rehearsal and we were off to a great start! As the night of the show came closer, our stress levels increased (and so did the amount of times we nagged the girls to speak LOUDER!). 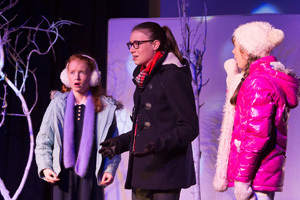 Before we knew it, the girls were transformed into incredible snowflakes (courtesy of Mrs Martin Smith and her team), the costumes were dazzling, lines had been (mostly) learnt and the lights were up and ready – show time! 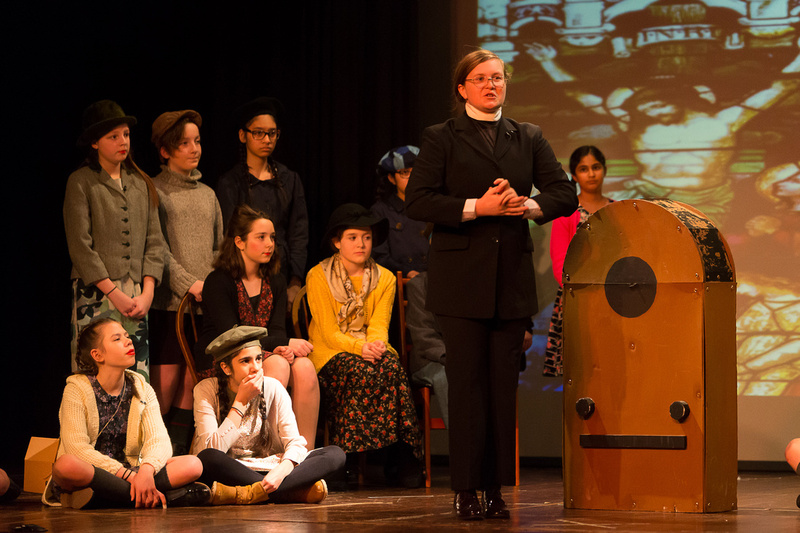 We couldn’t be prouder of the girls for how hard they worked throughout the whole process – it was a pleasure getting to know them as well as direct them in what we felt was a successful production! Well, where can I start? First of all, being a main character, even though I'm only in Year 8! 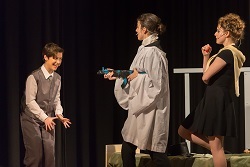 When I first found out that I would be playing Sir Evelyn Oakley I was blown away considering all the other older students they could have picked for the role. When rehearsals started I was given a proper script and we started practising for the big night. Jokes made and scenes gone wrong will definitely be remembered but even though fun was had, we tried to put on a serious manner. One thing I will definitely remember is my somewhat questionable costumes! Who could forget my suspenders, overly tight suit and life jacket? This character was very fun to play with his thick British accent, weird actions and him completely falling over Reno every time he saw her. 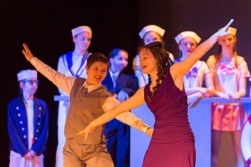 The tango dance I did with Caroline (who played Reno) will be something to remember. Through the rehearsals I made many lasting friends who helped me through this show. 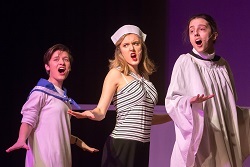 Overall, Anything Goes was an amazing production to be in, filled with jokes, drama and weird British guys who get easily sea sick.